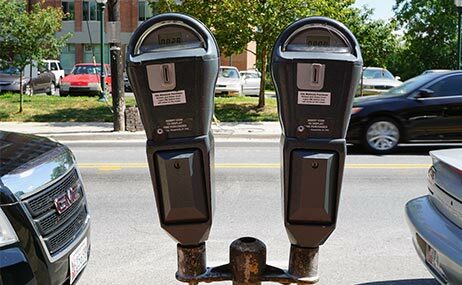 Takoma Park is undertaking a study of parking issues across the city that includes meters, handicap parking, commercial vehicle parking, residential parking permit (RPP) zones, enforcement, City Code and regulations, and parking hot spots. It is a comprehensive and interdepartmental effort aimed at modernizing and streamlining existing programs while preparing for ongoing developments and technological changes that affect how and where people are going in Takoma Park. The City-wide study includes surveys, grant-funded research and mapping, and additional data collection and community input. Scroll down this page for the table of completed deliverables, like the interactive mapset. Comments for the record may be submitted online for distribution to the City Council or during public comment period during the City Council meetings. Staff is developing information and recommendations for City-wide parking policies to be presented to the public for comment and feedback. After incorporating community input, the recommendations will be presented to Council. The City received a technical assistance grant from MWCOG in 2016. The consultants made a presentation to City Council on June 15, 2016 and submitted a report. To date, the project includes a survey with nearly 300 responses from residents, visitors, and businesses. Photo of parking meters in Takoma Park. Departments involved: Housing & Community Development, Police and Public Works. The Project Charter for the Parking Management Study identifies the parameters of the study, the policies which guide the work, the project schedule, and deliverables. 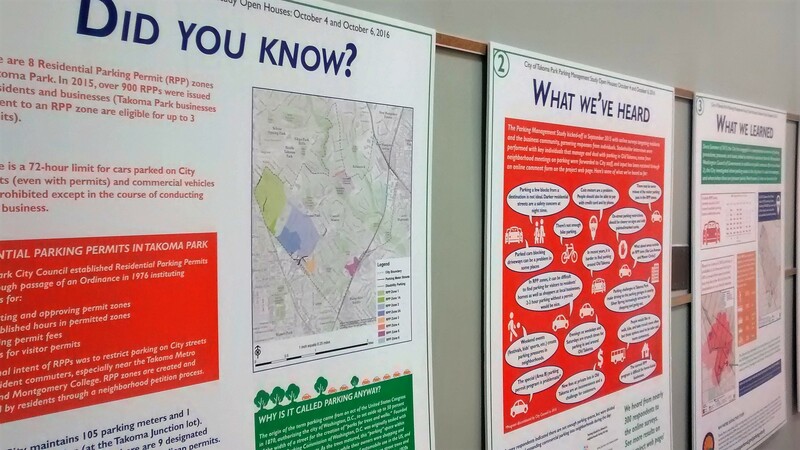 Two public open house meetings were held in October 2016 to share findings from the study so far and gather community input. See the Meeting Boards. Public comments were solicited from October 7 through November 7, 2016.